More to come later, but I am happy to report that Charlie has brought my mom to Maine and she is now in her home. Posted on June 24, 2016 June 24, 2016 1 Comment on Mom is home! I saw this graphic on facebook yesterday when I was really missing my mom. I love you, Mom in heaven! I try to let you know with signs I never went away. I hear you when you’re laughing, and watch you as you sleep. I even place my arms around you to calm you as you weep. I see you wish the days away, begging to have me home. So I try to send you signs so you know you are not alone. Don’t feel guilty that you have life that was denied to me. Heaven is truly beautiful, just you wait and see. So live your life, laugh again, enjoy yourself, be free. You’ll be taking one for me. Posted on March 2, 2016 March 2, 2016 1 Comment on Happy Birthday Month, Mom! Mom Tree by Paul Franck, Jr. Mom believed that one some one leaves the earth and goes to heaven that you plant a tree for them . So we did ! We also planted two palm tress in the front yard cus mom deserves more than one tree! — with Bernadette Franck. Posted on February 14, 2016 February 14, 2016 1 Comment on Mom Tree by Paul Franck, Jr. I wanted to share this story. I never have on Facebook. Hopefully it provides someone comfort, means the world to me. Believe as you wish…. The morning after my mom passed I woke really early , went to the house and sat there in Mom’s chair for hours. Taking it all in… felt awkwardly comfortable…Like, when you are deathly sick as a child with a fever but your Mom holds you in her arms and everything is more tolerable. That’s the best way i can describe how I felt. “relieved I guess?” things weren’t getting better for her. Mom liked to smoke “outback” so before I prepared to leave I sat in her spot in the backyard. looking at the sliding patio door, a light kept drawing my attention to the upper corner of the glass. I recalled that when I entered the front door I had noticed that same thing catch my attention. Regardless of how or why…to us every image of an Owl serves as reminder of Mom’s Love and that she is still here….just Different. Happy Thanksgiving Mom! I miss you so much! So very grateful for those final memories with you last Thanksgiving. I will forever wonder what was on your mind that day….. you were so happy and comfortable. I know that you knew I’d relay the message for you. You spoke of how much you loved all your children, how much Paul had been helping you lately, how Suzette was somehow holding the “healthiest of the family position,” and how you missed Michelle and wanted to see her, if only we had a little longer … your voice was heard Mom and wish more than anything I could hug you today. I enjoyed being with you so much couldn’t wait til Xmas to see you again. Just have to wait…. :0) There will always be an empty chair at my Dinner table on every holiday ….A member of the family will forever be Abscent. I love you! And I know you are with us all the time. I wanted to share a story with everyone. I know so many people suffering from the loss of a Loved One recently that hoping this brings some one peace. Two weeks after my Mom passed this year I was in the hospital with an infection and severed tendon. Lying in the E.R. waiting on my four hour i.v. antibiotic treatment left me plenty of time to realize that this was to be first time I was in the hospital without my Mommy! Silly for a grown man right? I was scared . I prayed for her strength. Walking out of Kaiser hospital in Irvine i was still in shock of everything. I was driving my mom’s car. As I approached just a few feet away, I noticed strung straight across the sidewalk as if it was laid out that way ,a gold chain shining in the sun. I picked it up and my immediate instinct was to go inside and turn it in. “Something “told me to STOP, ..”that’s for you” it was just a feeling I had. So I returned to my mom’s car and looked at it closer. My mother was very proud of her French heritage and spoke French fluently growing up. She made sure it was part of us and that we grew up on the same traditions. I look at the pendant, noticed and inscription on the front and noticed that it was indeed in French!? I immediately translated the words on my phone, it reads, “” loose translation= ” I love you more today than yesterday, but not as much as I will tomorrow.” !!! Blew me away…. you dig? Taken back, yet feeling so comfortable I go home and head to the beach with my new treasure in hand . Sitting on the cliffs open my hand to look at the pendant and notice that it is flipped over but I can see something lightly scribed in the reflection of the sun on the backside. It reads “toi et moi” = “You and Me”!!! ….Unreal! Right? For many years It was just my Mother and I that lived together. …to this day I wear it everyday and do believe it was a gift from my mom. Many other cool things have happened to myself and siblings that let us know that she is indeed out there. Have faith that your lost ones visit you, will look over you and they are free! Believe anything you wish , but someone told me that your loved ones will only visit you, when you ready to let them go in your Heart. Be happy for them, most were in a bad way…… God speed to all! 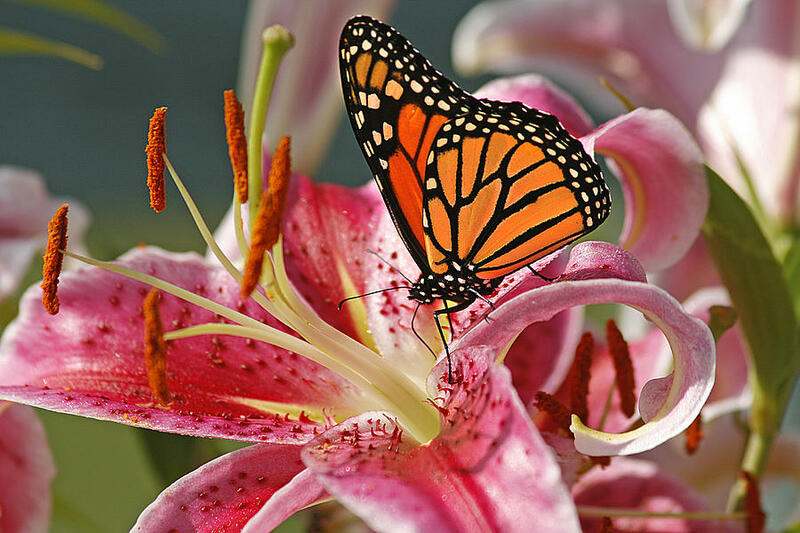 We’ll see them again, for the mean time, every time you feel a breeze just think maybe it’s a hug from them…..
My mother’s favorite flower was the stargazer lily. I would always get her a bunch with some closed buds and they would bloom over the next week, and filled the room with a fresh fragrance similar to Noxzema. If she were here, I would love to take her to a Mexican Restaurant with yummy refried beans and and Mango Margaritas. I miss my mommy. Posted on May 4, 2015 May 4, 2015 1 Comment on Happy Mother’s Day, Mom!